Stephen Hillenburg and Karen Hillenburg at Opening Night of Nickelodeon's SpongeBob SquarePants: The Broadway Musical. 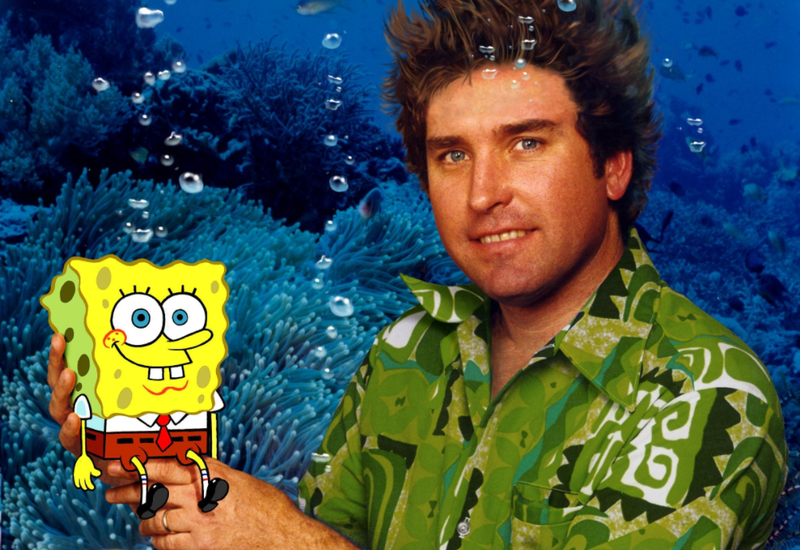 Stephen Hillenburg, the creator of Nickelodeon’s hit animated series Spongebob Squarepants, passed away at the age of 57. According to The Hollywood Reporter, his cause of death was ALS, which he was diagnosed with in March 2017. Hillenburg is survived by his wife of 20 years, Karen, and their son Clay. Karen works actively with Planned Parenthood, and women’s reproductive health is one of their “largest areas of grantmaking.” In the 2014 Planned Parenthood Annual Report, Karen is listed on the Board of Directors. In the Spongebob Spongebob show, Mr. Krab’s arch-nemesis Plankton’s computer wife is named Karen. She was named after Hillenburg’s wife. The character, one of the two main antagonists on the show, is known for her snarky responses to Plankton’s idea and her superior plots to steal the Krabby Patty secret formula from the Krusty Krab (where Spongebob works as a fry cook). According to IMDB, neither Karen nor Clay were credited as voicing any characters in the over 250-episode series; however, both have “Special Thanks” credits in the The Spongebob Squarepants Movie and season 3 episode 7 of the TV show (titled “As Seen on TV/Can You Spare a Dime”). In a “Big Pop Fun” interview for Nerdist, Hillenburg revealed that his father, Kelly N. Hillenburg Jr., was a draftsman and part of the Apollo program in Anaheim California. Nevertheless, he said his father did not draw as much as his grandmother on his mother’s side of the family; he credits her with passing her art skills on to him. His grandmother was a gifted painter, but did it mostly as a hobby, as “art school” was not as accessible of an opportunity when she was growing up. She also made detailed crafts, including felt finger puppets and Christmas ornaments. When she passed away, Hillenburg shared that “the one thing [he] wanted was any of her artwork,” because his “strong connection” with her was through art. According to Inside Philanthropy, Karen teaches at the New School of Cooking, which has campuses in Pasadena and Culver City. The New School offers diploma programs in culinary and pastry arts. Clay, who is 20 years old, seems to have inherited his father’s love and talent for animation. He is credited on Fandom Wikia as a cartoonist, animator, director, producer, and writer. While his upcoming projects are unconfirmed, the site alleges that he will be involved in upcoming projects for Nickelodeon and Discovery Family.